Designed by Brazilian designer Rafael Morgan. 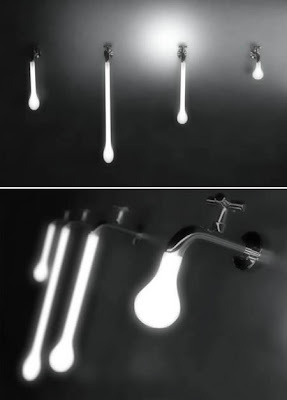 The lighting is controlled through the tap. Just turn it around and you can control the effects.